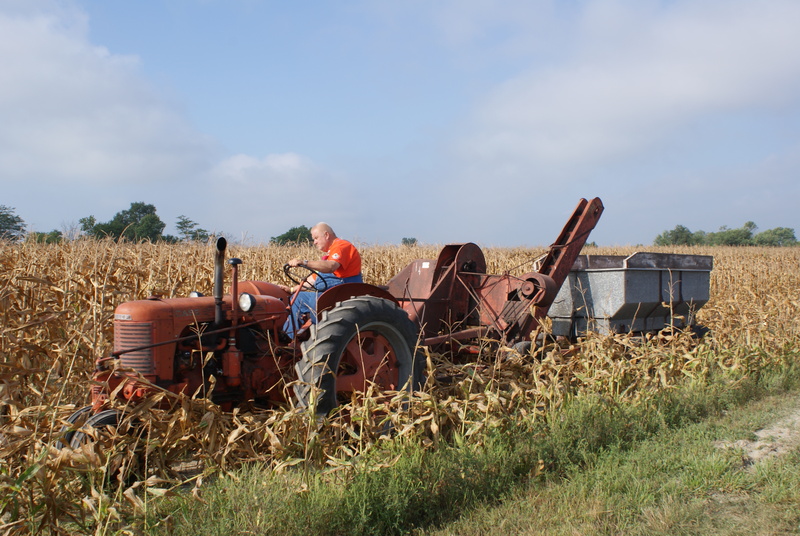 With harvest looking to be still weeks and maybe a month away in central Illinois, the Half Century of Progress was one of the only opportunities farmers and lovers of old iron have had recently to watch harvest in action. At the Half Century of Progress show, Keith, my husband and I reveled in the beauty of old tractors like this one moving through the fields. Harvest season brings its own perks besides the work, it makes you think apples, Harvest moon, cool crips days and colored leaves. Bring it on! Next Post: Johnny Prolvolone’s Pizza – Yum!